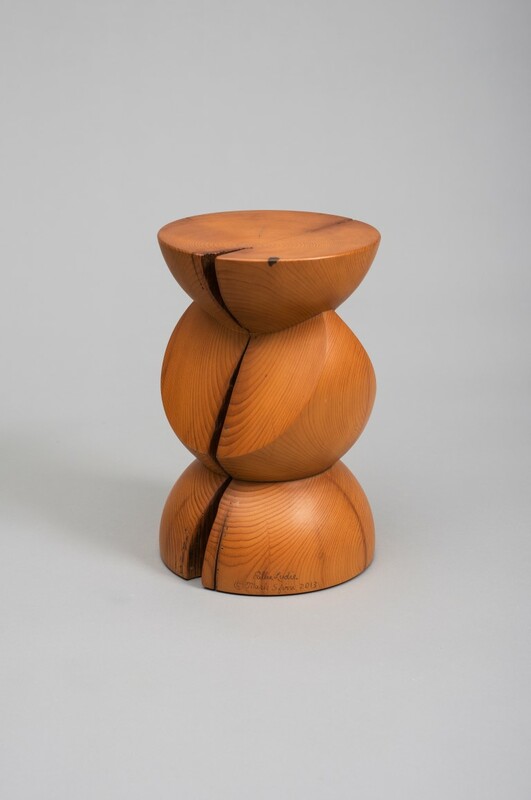 The Center for Art in Wood’s Museum Collection is a key part of its mission to support the flourishing field of art in wood. 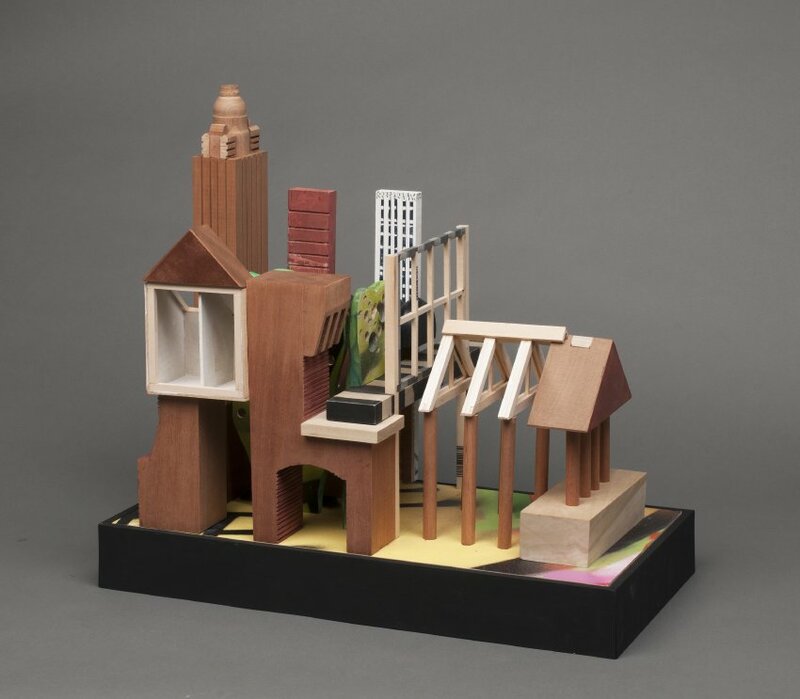 This holding now numbers more than 1,200 acquisitions that represent an ever-expanding range of processes, material variances, and innovative ideas by artists and makers from around the world. 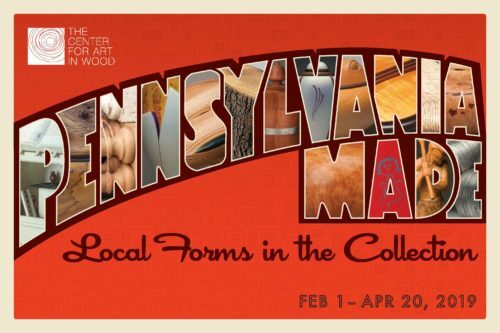 Pennsylvania Made: Local Forms in the Collection trains a regionally specific lens on the Center’s Museum Collection. 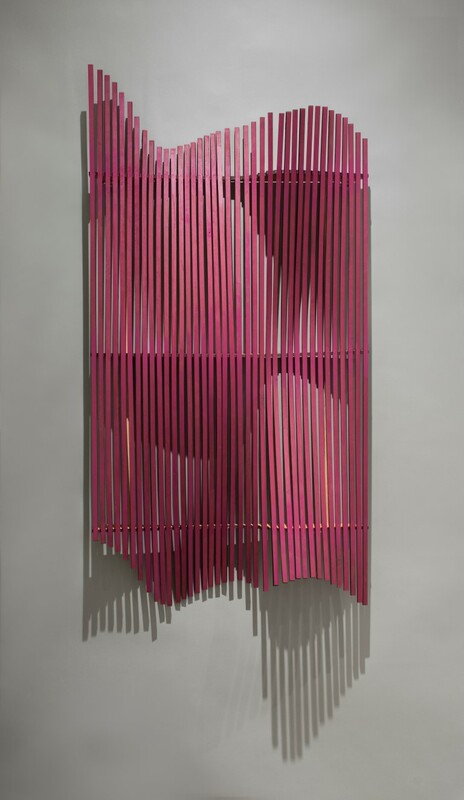 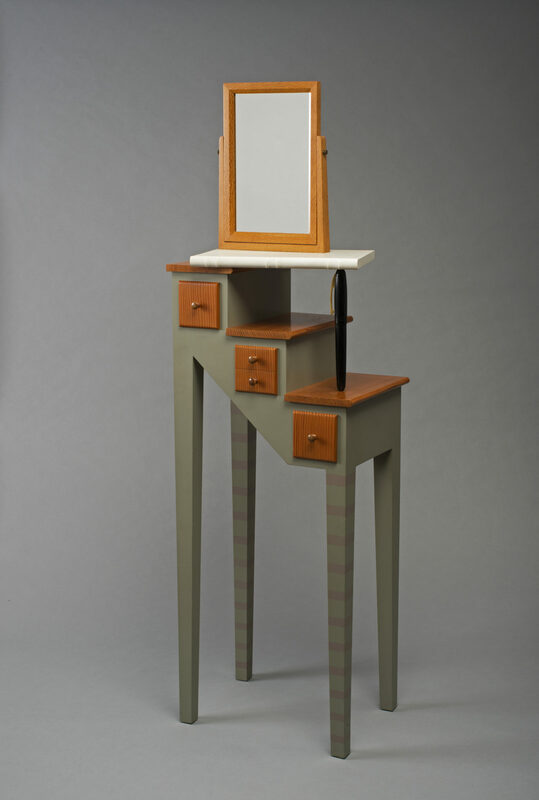 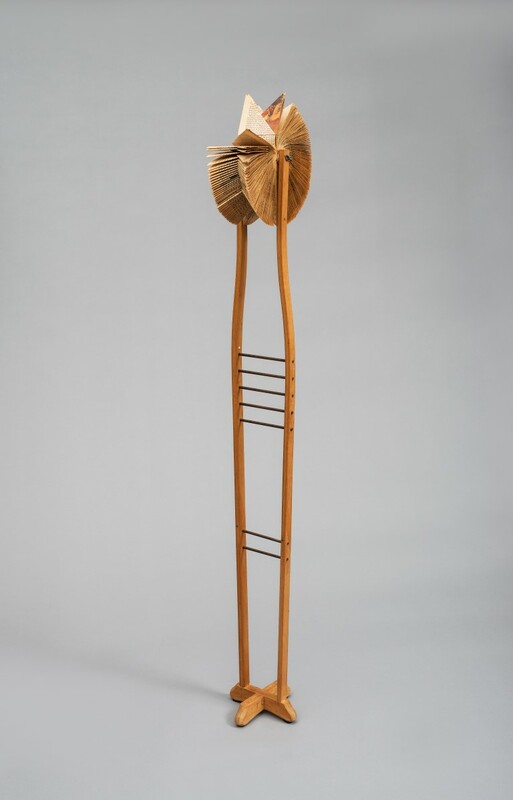 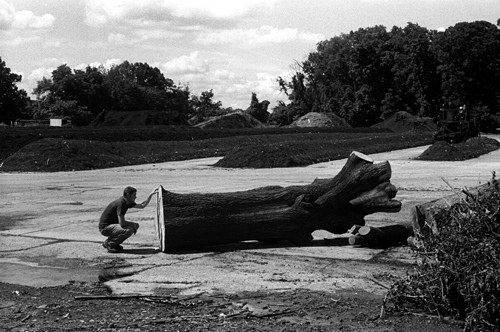 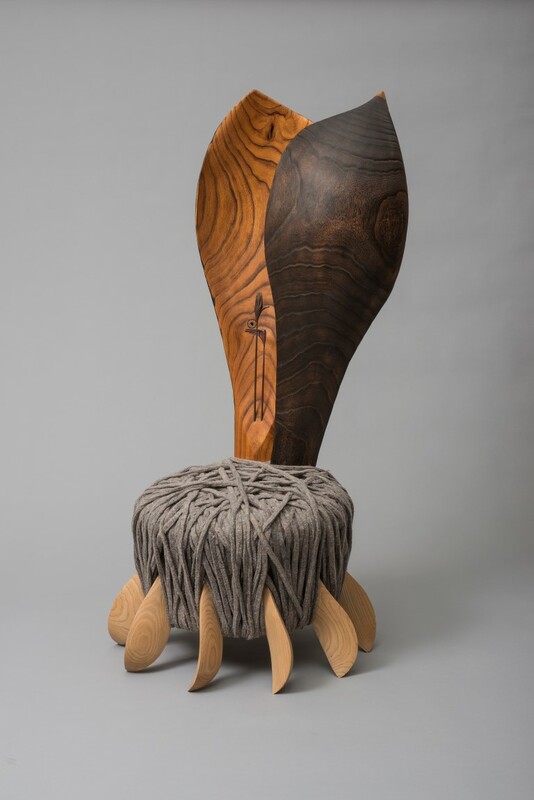 Against the backdrop of a three-hundred-year history of artisanship and craft manufacture in Pennsylvania, contemporary artists find ways to bring new growth in practical and conceptual approaches to art in wood. 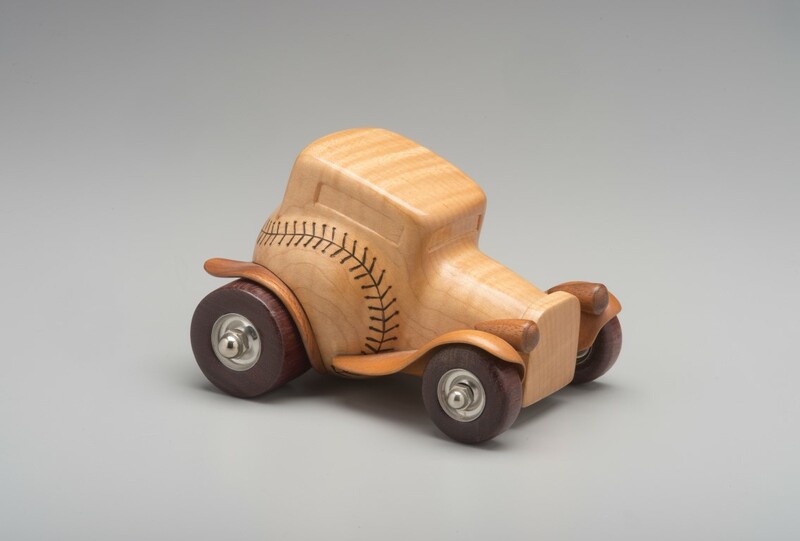 On view in the exhibition are selected works by 41 makers that show how local heritage objects and motifs provide opportunities for innovation or homage, or provoke irreverence toward cultural tropes. 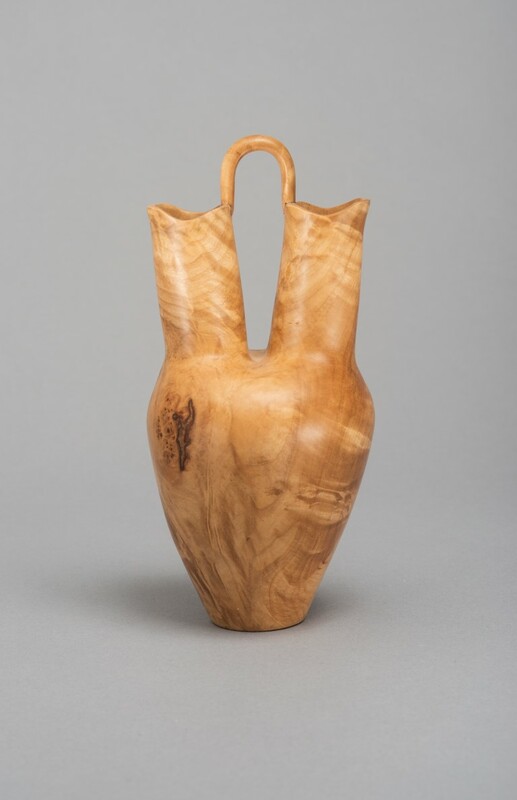 In this display of vessels, furniture, domestic objects, and sculpture, we witness the myriad ways that wood inspires and motivates Pennsylvania’s artists, designers, and makers. 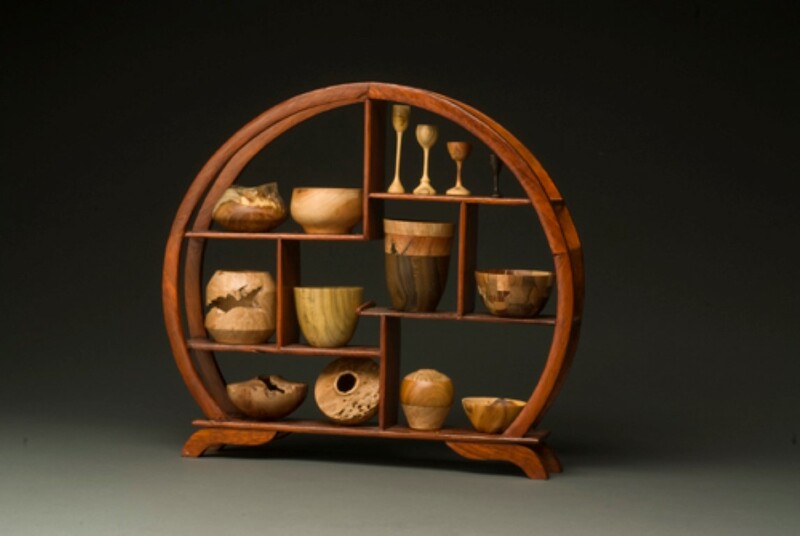 Each of these objects is a testament to the creativity, ingenuity, and skill in the material of wood held by artists and makers in the Commonwealth. 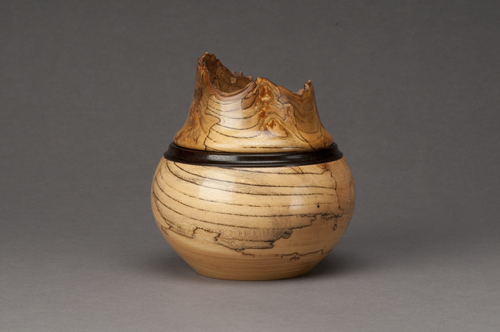 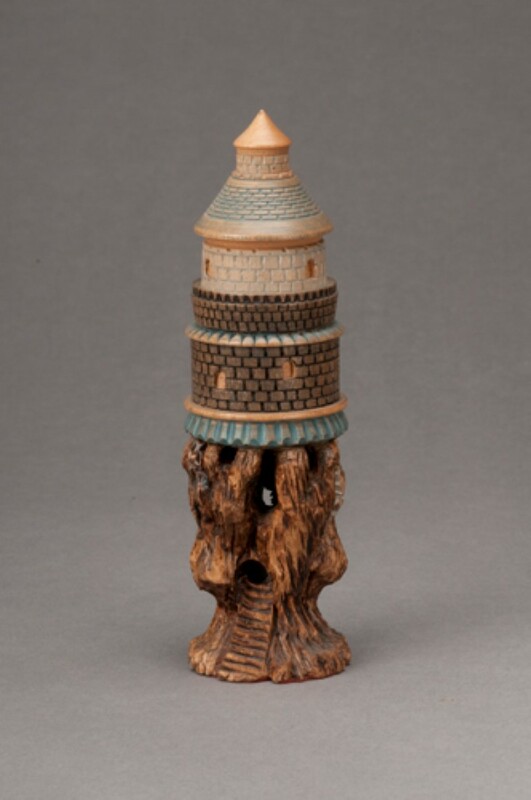 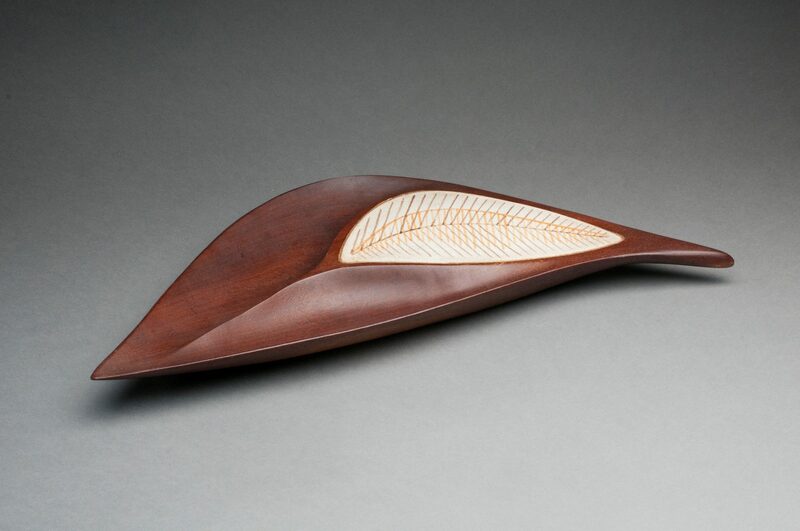 Wood turners, as well as artists using other processes, often venerate the grain and figure of their wood and perfect their skills in order to create harmony between the shape of the object and the beauty of patterns caused by spalting, insects, or other events in the life of the tree. 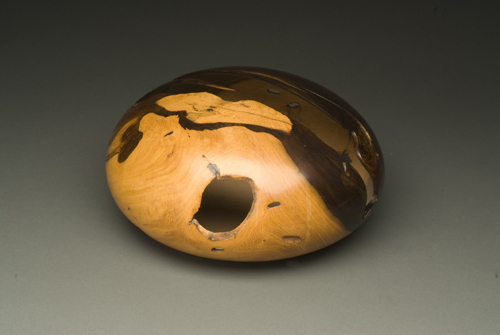 Wood burl (the knotty growth in a tree caused by an injury or mold or insect infestations) presents opportunities for testing and developing special techniques, tools, and forms in order to enhance the distinctive character of the wood. 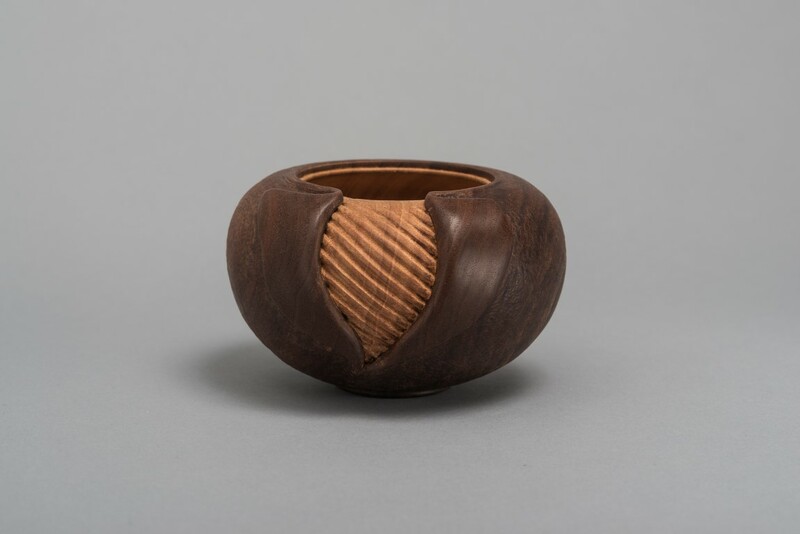 Non-organic materials are also a source of inspiration for artists in the collection. 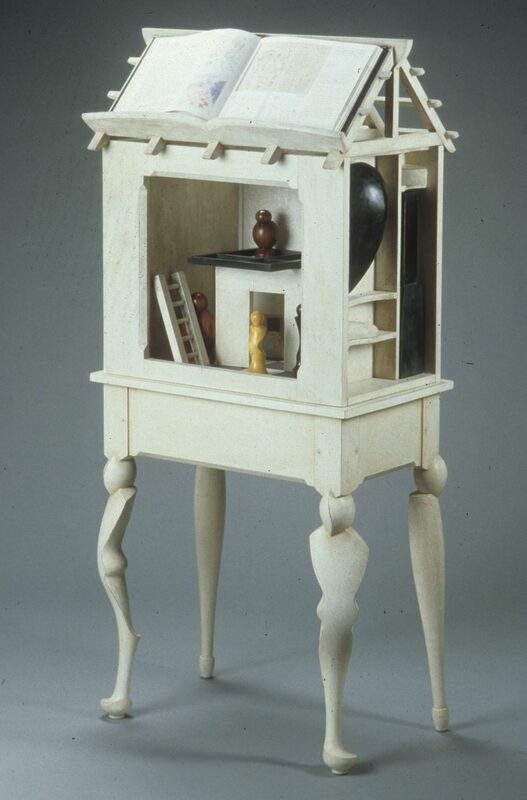 When subjected to wood-oriented processes or paired with wood, materials such as metals, newspapers, pages of books, paints, and found objects offer layers of expression and meaning. 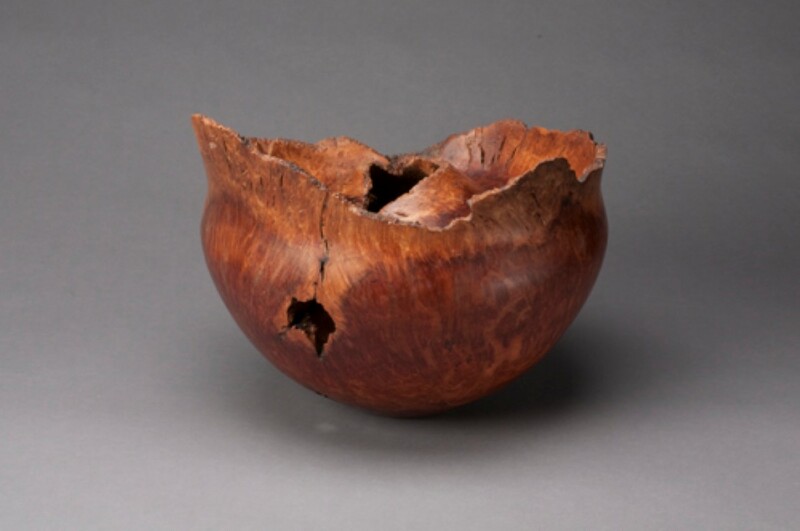 Whether artistic vision comes from the organic character of the wood or from past histories, the material of the tree continues to inspire artists and push them to tell new stories. 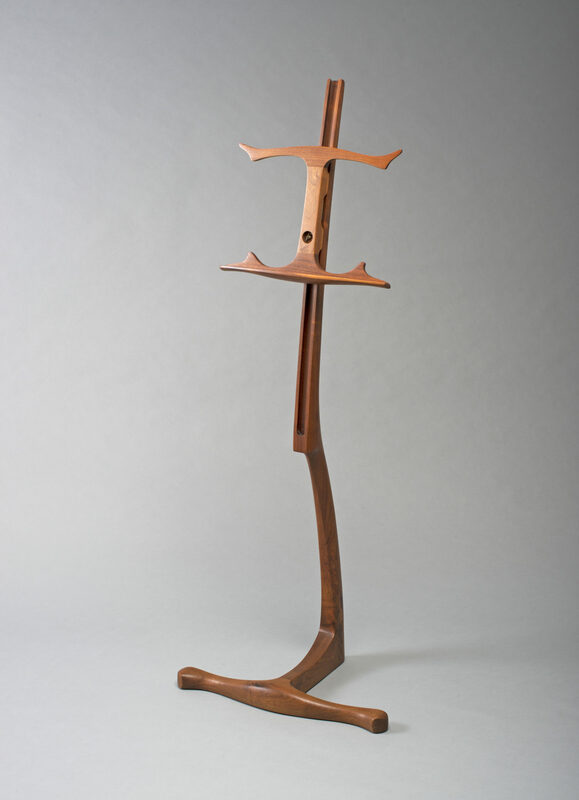 Walter Balliet (1917–2016) worked as a tool and die maker at the Bridge Tool and Die Company in Philadelphia for over three decades. 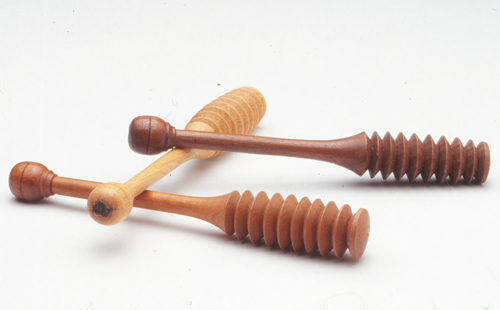 Balliet specialized in ornamental turning, a centuries-old technique practiced by men and women of Europe’s noble classes as a leisure activity. 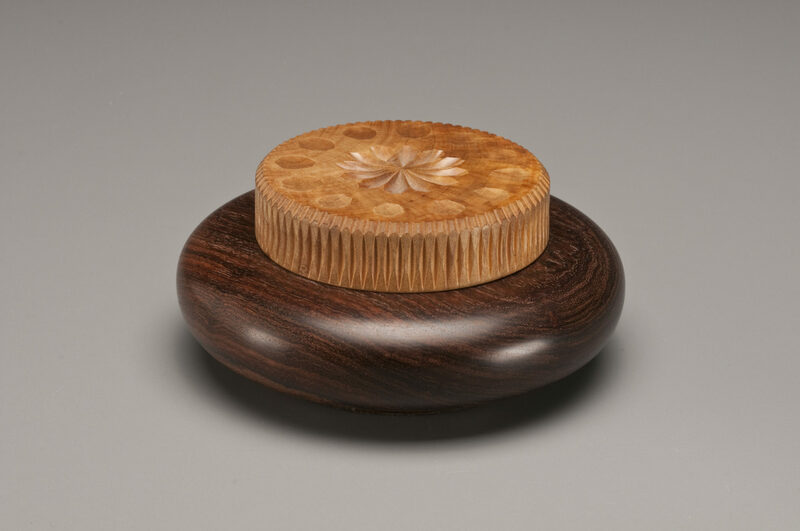 Ornamental lathe work involves rosettes and specialized cutters, slow rotation, and a rocking motion that allows the turner to mechanically cut and engrave the stock material with an exceptional degree of precision and rhythmic designs. 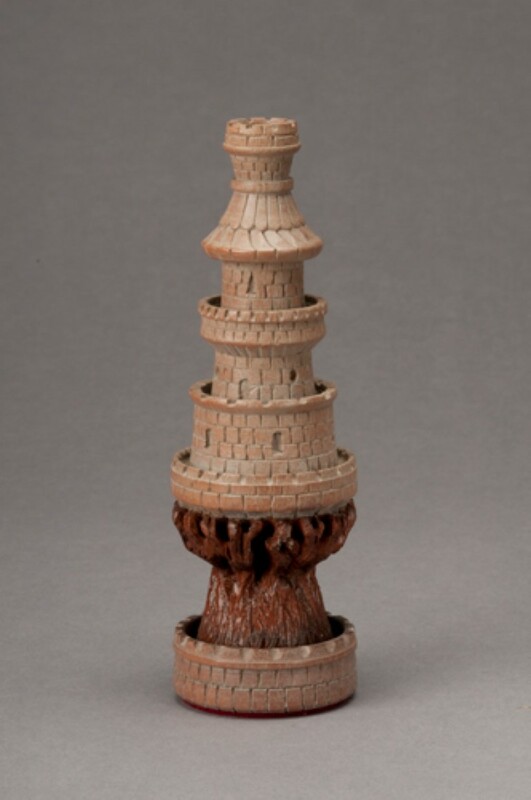 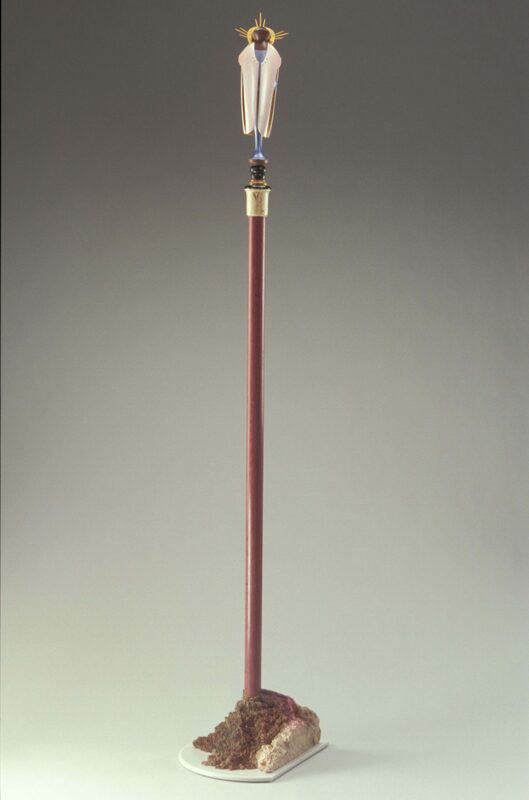 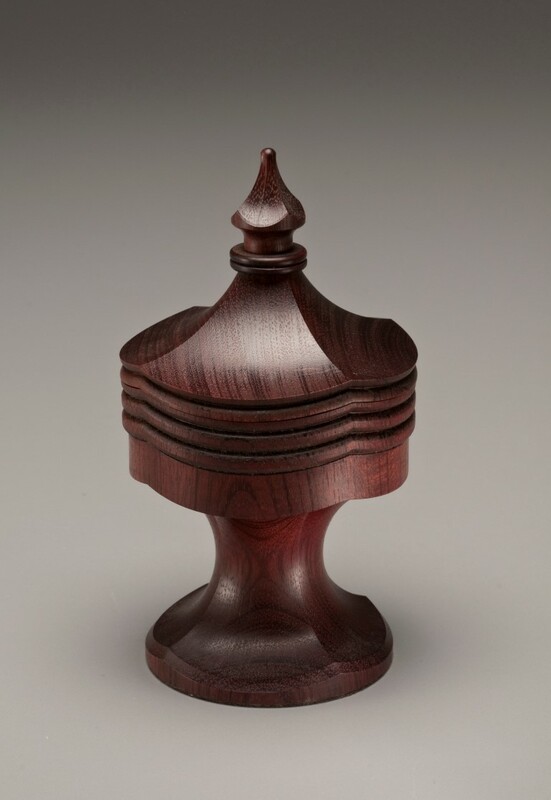 Ornamental turners prefer hardwoods like ebony, African blackwood, and cocobolo, whose tight grains make intricate, minutely detailed carvings possible. 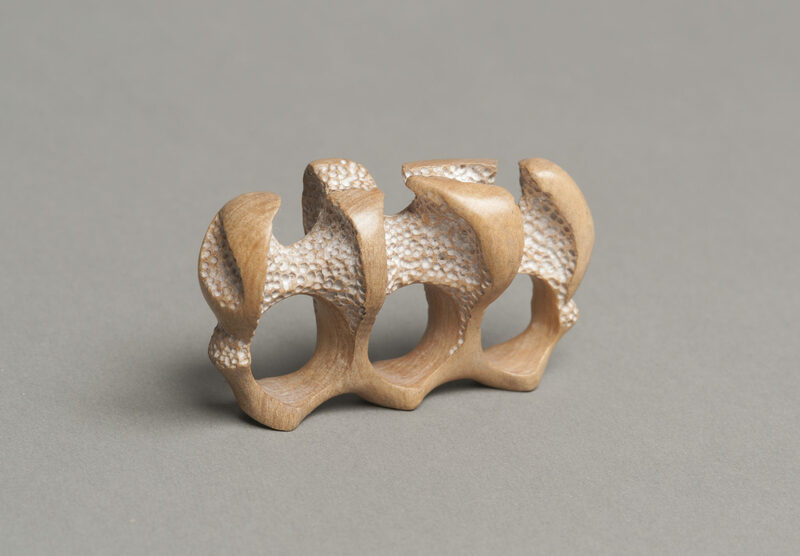 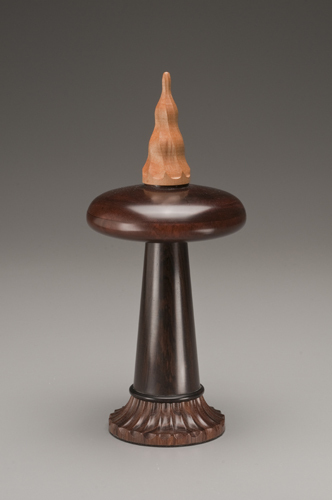 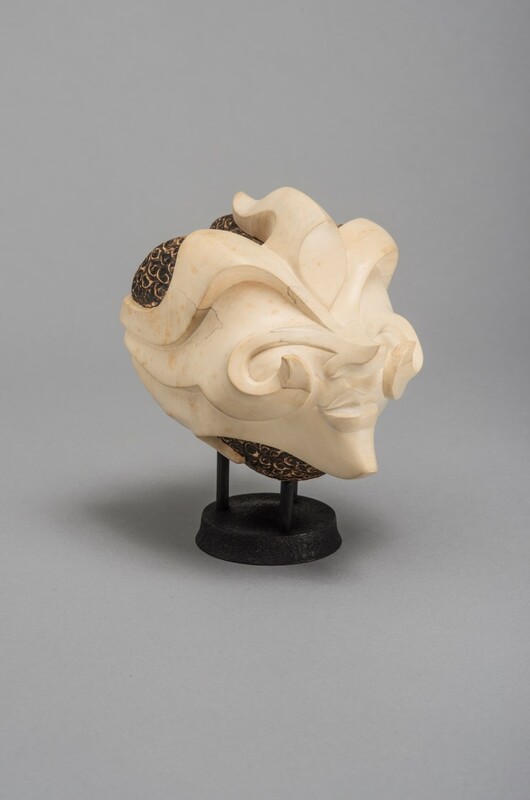 In 2010, Balliet donated a gift of over two hundred fine examples of ornamental turning, including eighty of his own pieces, as well as works by many of his friends who also practiced this rarefied medium. 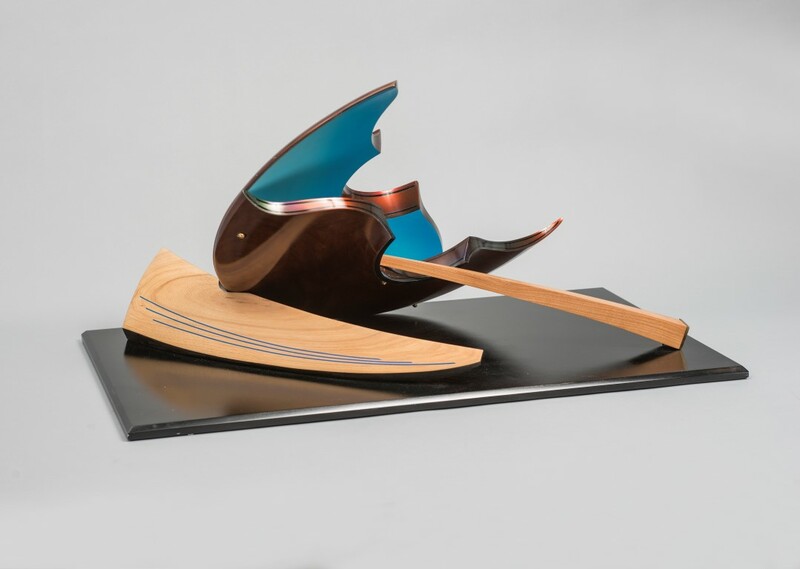 Their work demonstrates the collaborative and generous spirit that nurtured and stimulated creative approaches and specialized tool design. 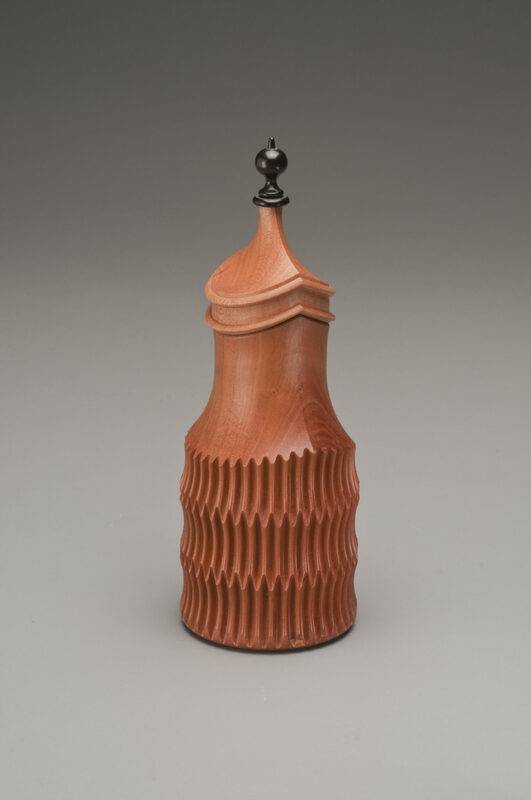 On view here are several examples of Balliet’s work that demonstrate the wide range of possibilities offered by a singular technique. 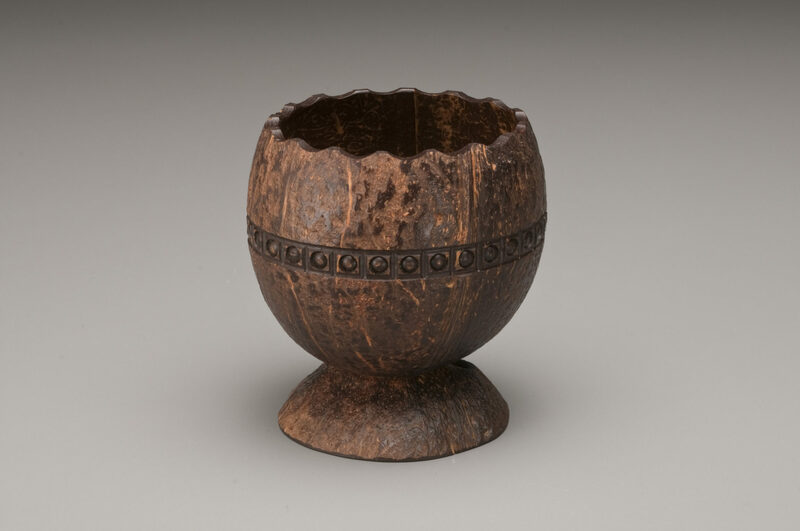 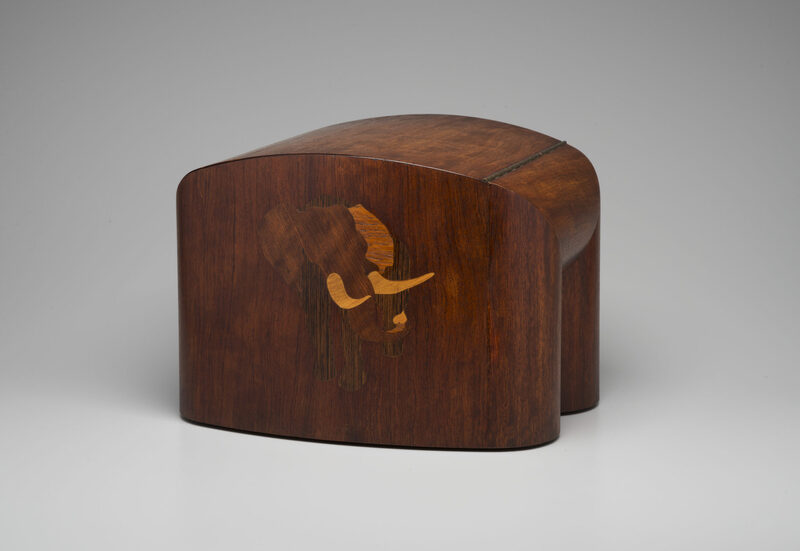 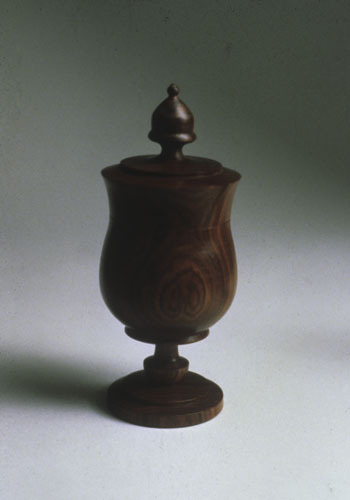 His experimentation, seen here in African blackwood as well as less conventional woods such as coconut, included forms influenced by the architectural world, organic motifs, and stylized, curving patterns and perforations. 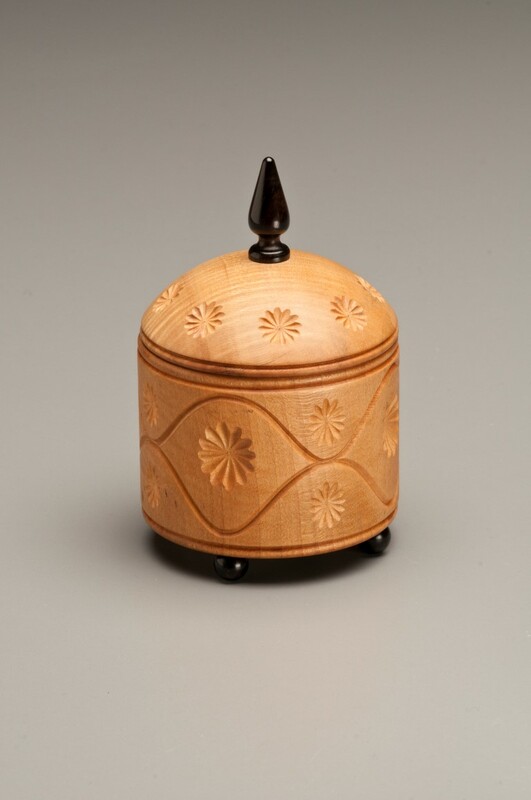 Saffron boxes emerged from Pennsylvania Dutch communities in the “Saffron Belt,” which spread throughout Lancaster, Lebanon, and York counties in the late seventeenth and eighteenth centuries as Mennonite, Amish, and Brethern émigrés from Switzerland and Germany settled there, bringing their culinary tastes with them. 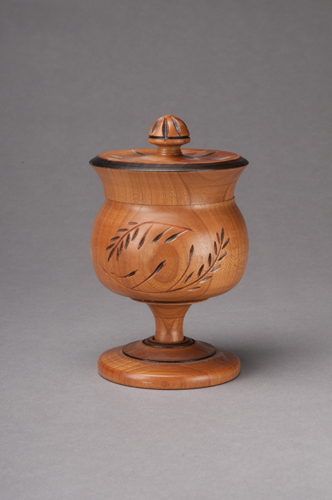 The lathe-turned wood containers are typically four or five inches in height and have a footed goblet form. 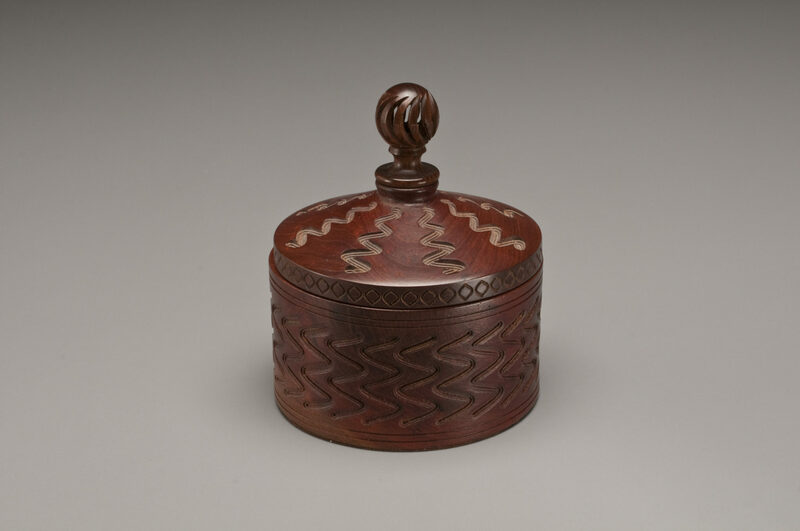 Often gifted at weddings, they feature a lid topped with a finial in the shape of a stylized acorn, which, in German tradition, symbolizes rebirth and good fortune. 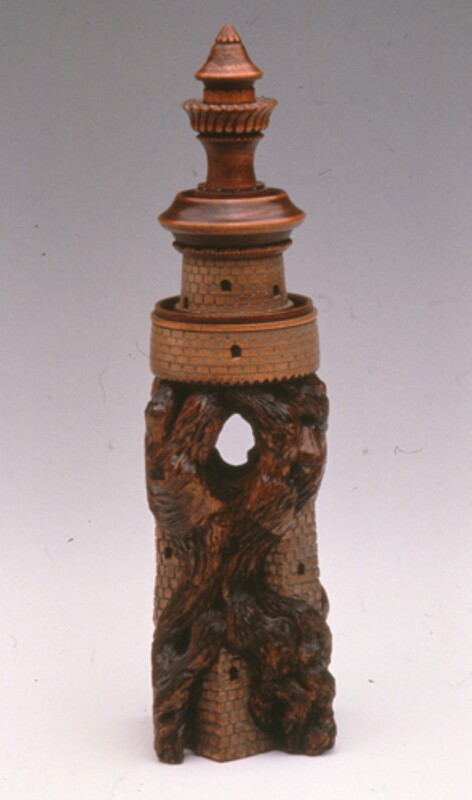 The Brubaker family of Lancaster County is known for several generations of wood turners. 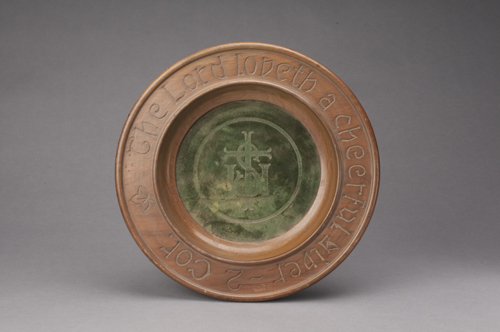 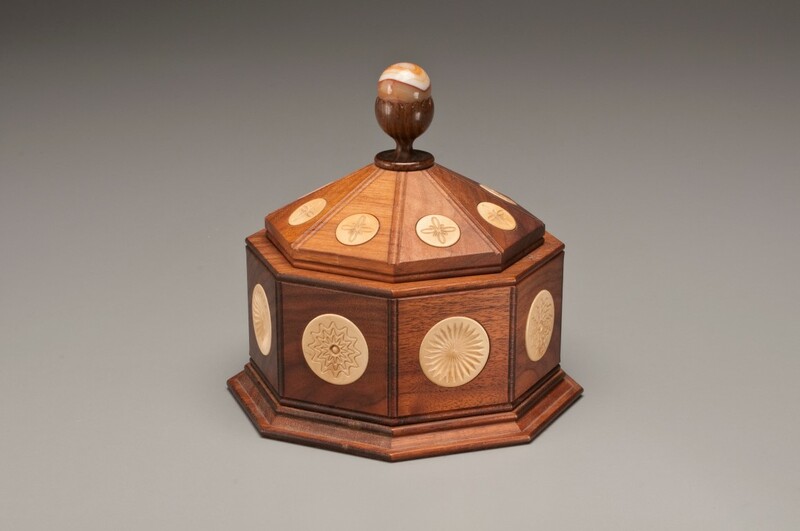 Jacob Nissley Brubacher, a bishop, gifted his turned saffron boxes to the couples he married in the late 1800s. 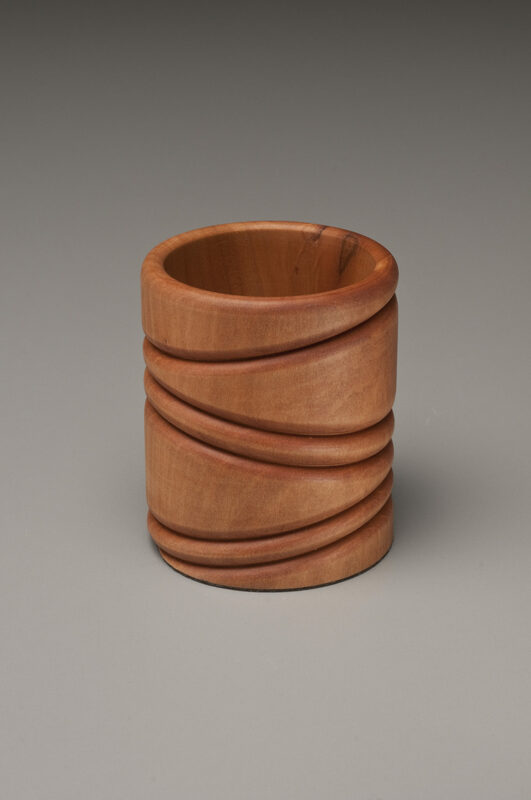 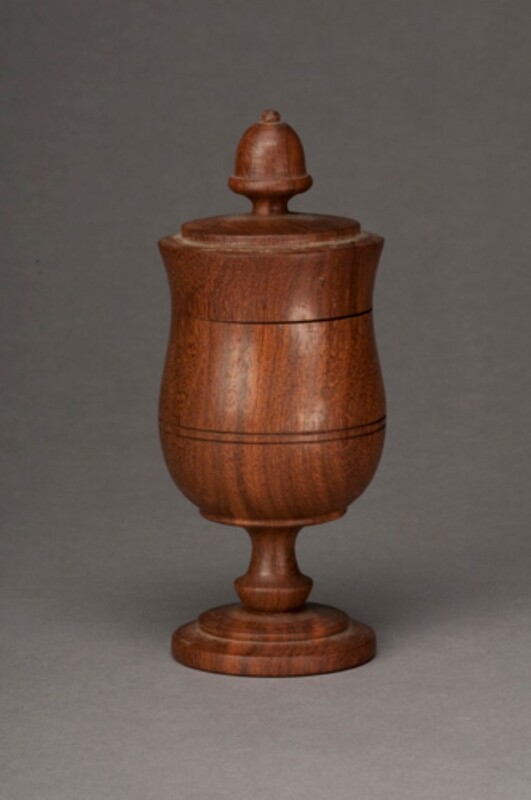 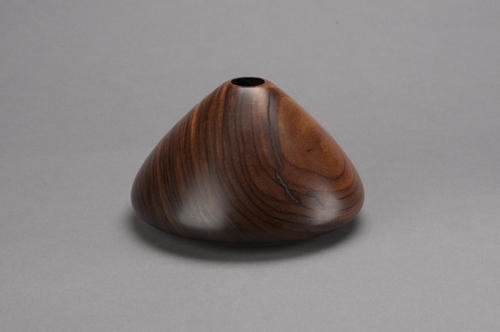 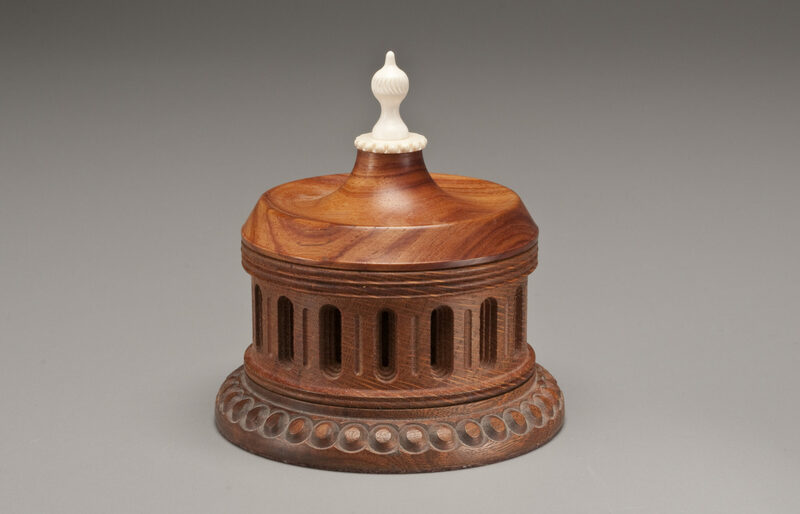 His grandson, Jake Brubaker, attended the first wood turning symposium at the George School in Newtown, PA, in 1976, and displayed the rosewood saffron container on view here. 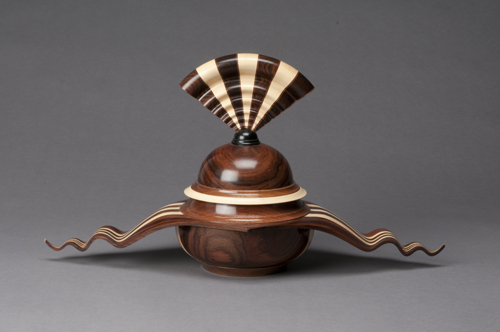 Encouraged to break with tradition, Brubaker turned an off-axis, pot-bellied cup and added a lively tail. 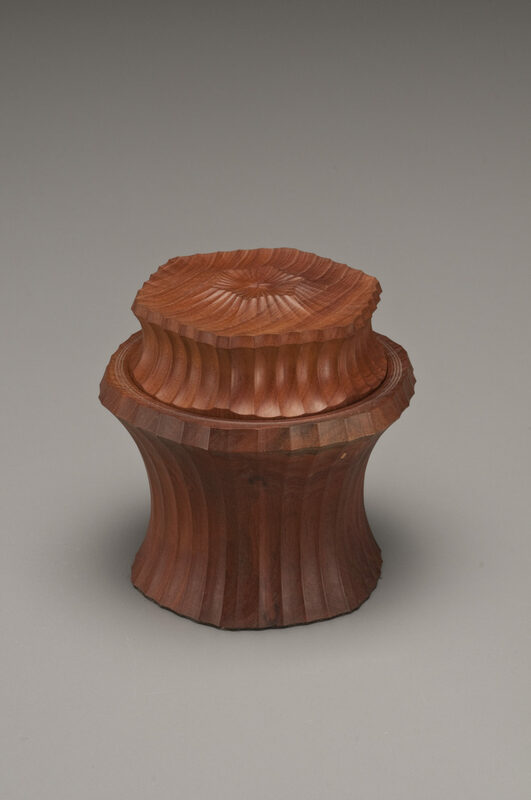 Philadelphia-based wood turner and collector Joe Seltzer brought a newly purchased nineteenth-century antique saffron box to a meeting of local wood turners and discussed the wooden ring that encircles its foot. 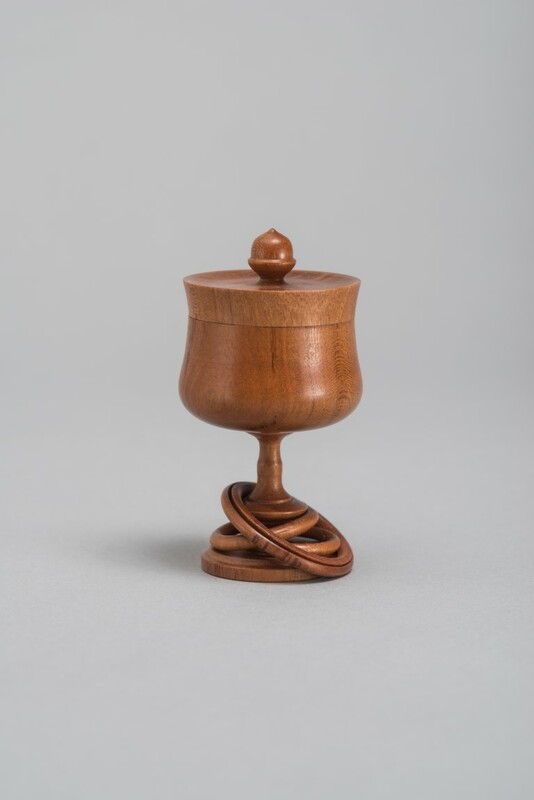 The ring, a common feature of saffron boxes, is turned on the cup from the same block of wood as the box and symbolizes an unbreakable, unending bond. 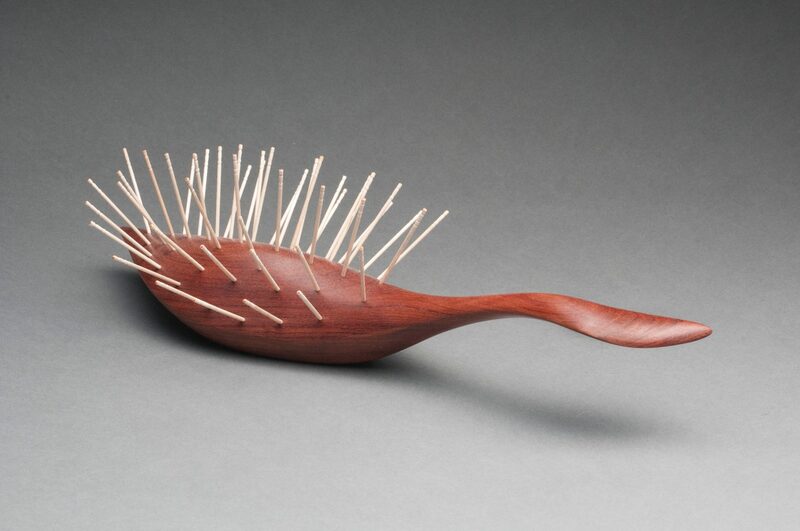 This inspired Dave Hardy to turn his own version. 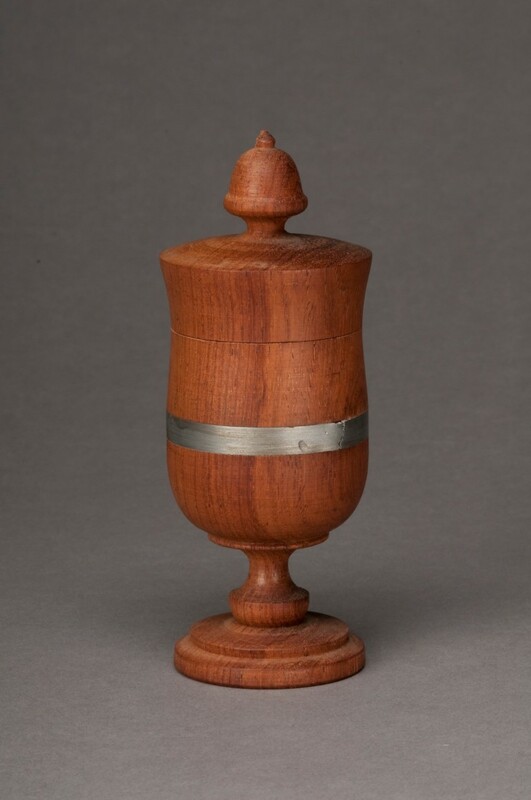 Not to be outdone by tradition, however, Hardy turned his cup with two rings, instead of one. 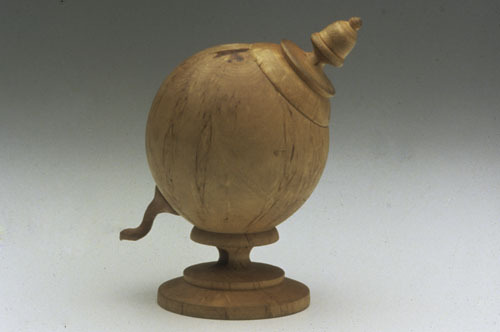 It demonstrates how heritage objects can be launch points for innovation, inspiration, and creativity. 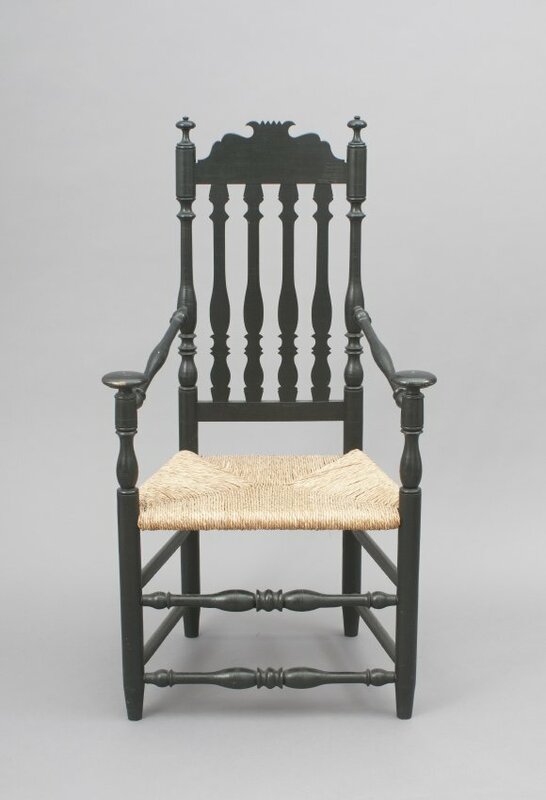 Pennsylvania is known for its three-hundred-year history as a site of furniture production and manufacture. 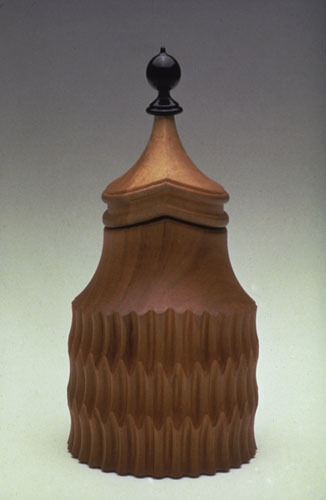 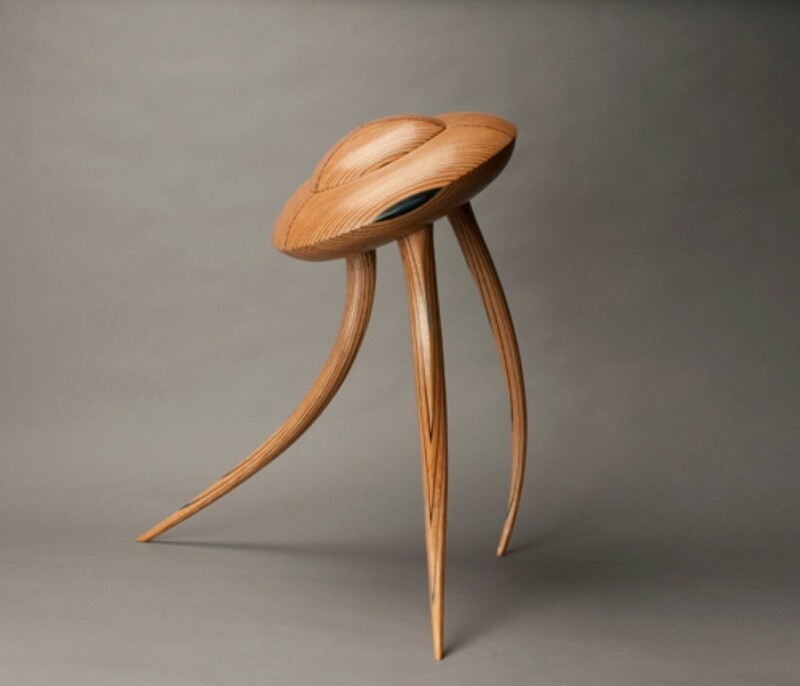 With its wealth of hardwoods and waves of skilled artisan immigrants arriving from abroad, furniture in Pennsylvania developed as a dynamic field inspired by technical innovation, international influence, functional need, and collaborations between wood turners, joiners, and cabinetmakers, as well as craftspeople from other trades such as blacksmithing and upholstery. 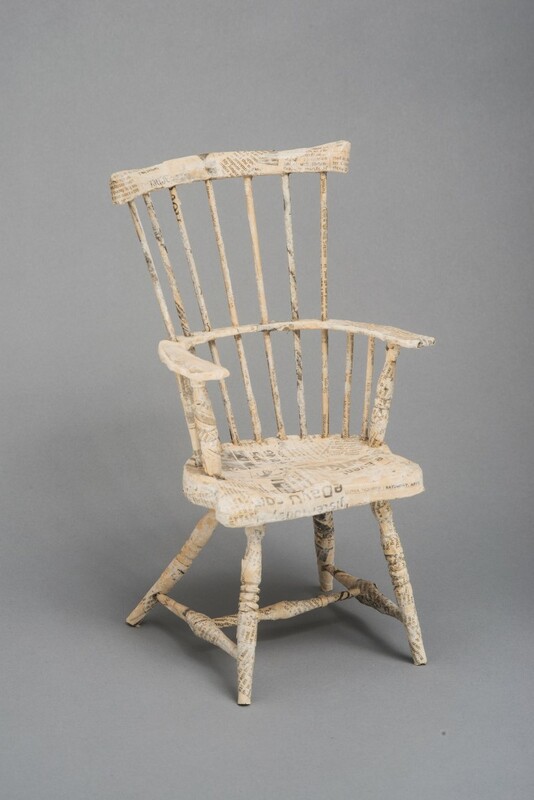 From a contemporary take on the splat-back armchair common in Lancaster’s Pennsylvania Dutch households, to expressive, sculptural pieces that teeter on the edge of functionality, wood furniture in the Center’s Museum Collection represents a wide range of approaches and high levels of craftsmanship. 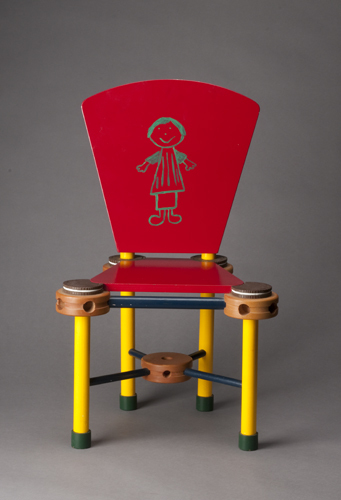 Whether inspired by pop culture, surreal juxtapositions, heritage objects and techniques, or the imaginative universe of a child’s playroom, furniture continues to inspire and challenge the region’s artists and makers. 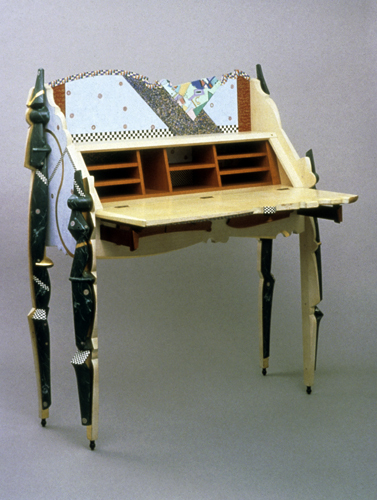 Collaboration is a vital component in historical woodworking and furniture manufacture. 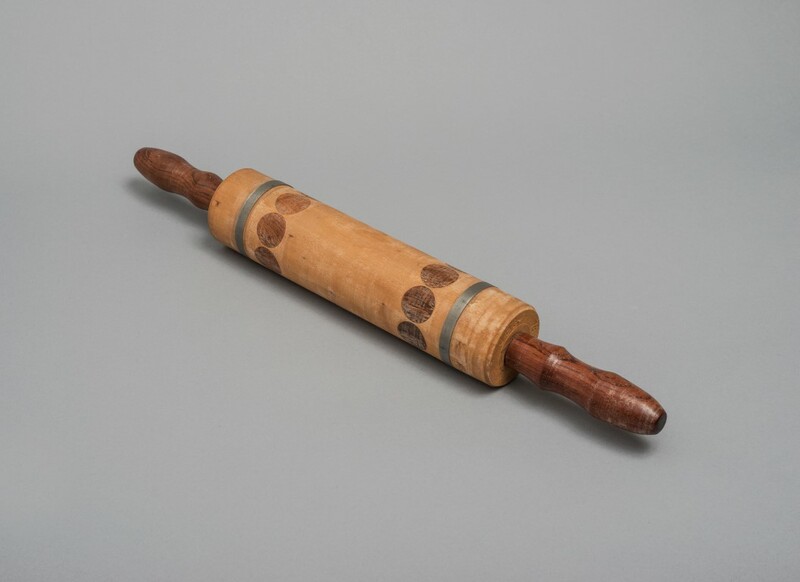 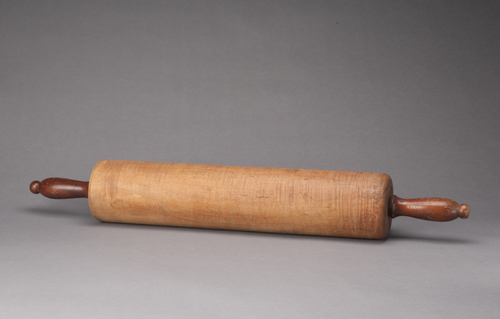 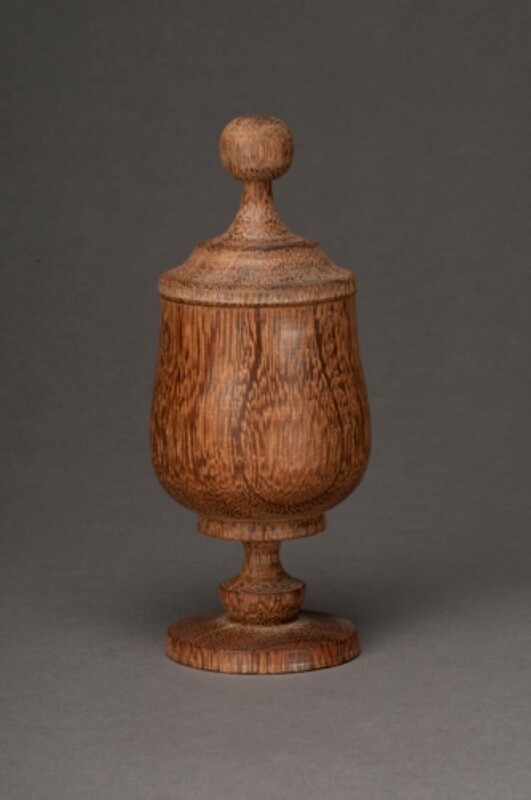 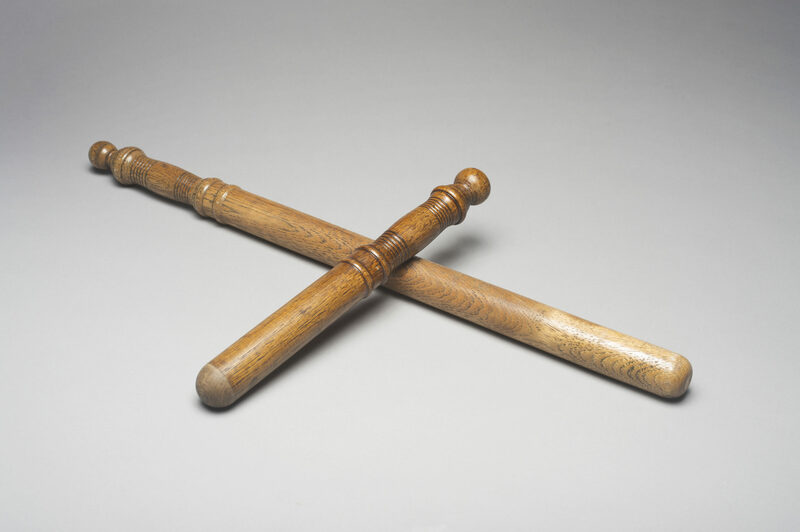 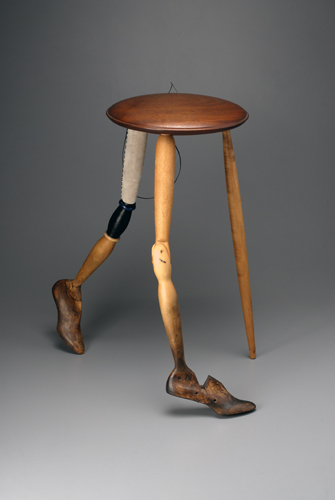 Wood turners produced the legs, spindles, and supports that joiners and cabinetmakers would incorporate in their tables, chairs, wardrobes, and other wood furniture pieces. 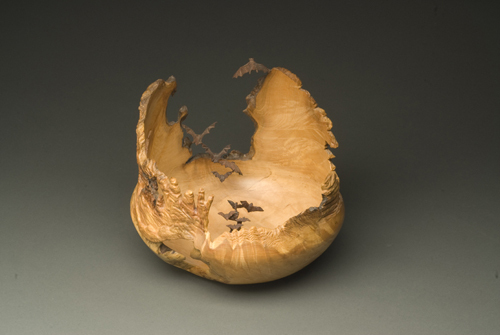 Though the industry has changed dramatically in three-hundred years of local production, artists working in wood have continued the collaborative tradition. 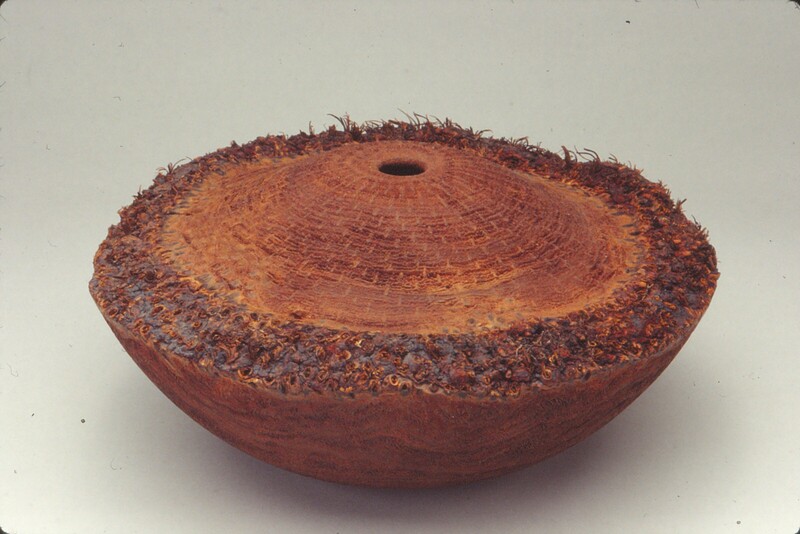 They organize regional, national, and international symposia where techniques are discussed and shared; throw festive annual events for creativity and exchange where makers are given free reign to experiment with tools, materials, and concepts; and put their heads and hands together in the creation of works that demonstrate a dialogue between two independent points of view. 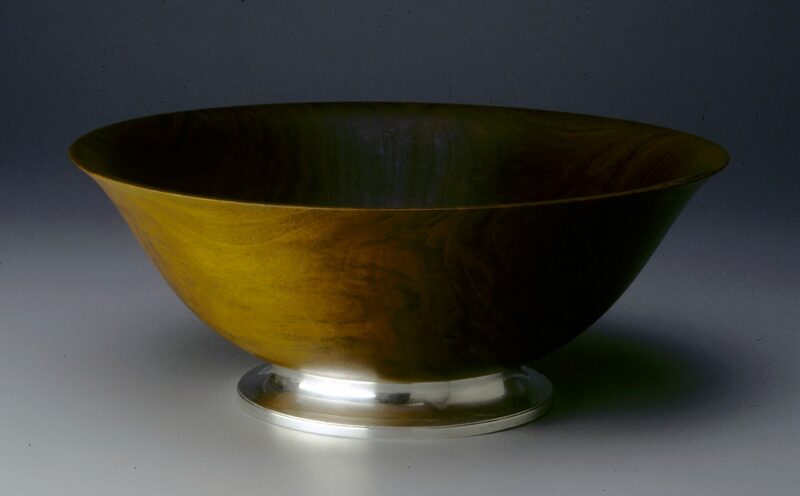 In these ways, artists and makers are able to connect with the methods, forms, and techniques of the past, while sharing their skills, innovations, and ideas in the present. 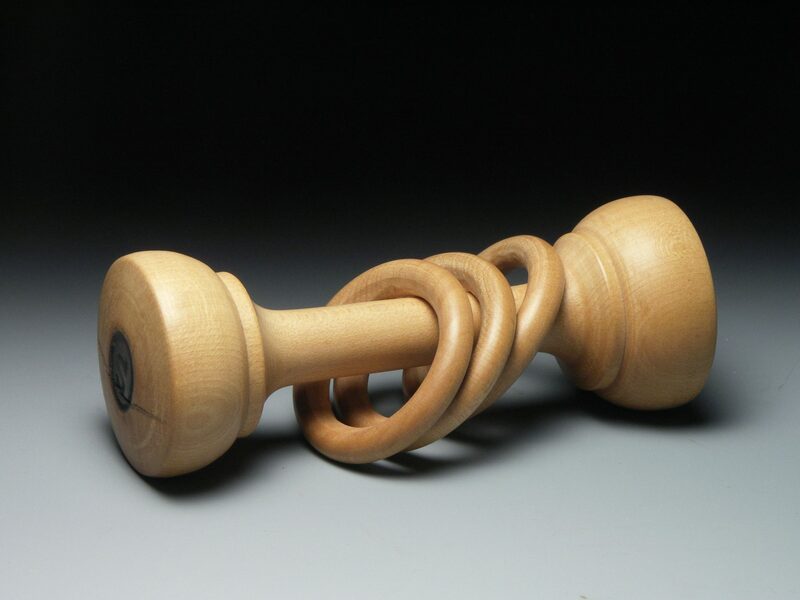 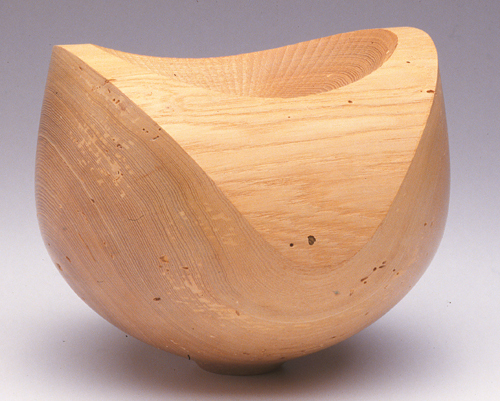 Since the Wood Turning Center’s expansion into The Center for Art in Wood in 2011, its Museum Collection has encouraged interest in the material of wood across a wide range of artistic and technical applications, from wood turning to carving, construction, and digital production, or combinations of many different approaches. 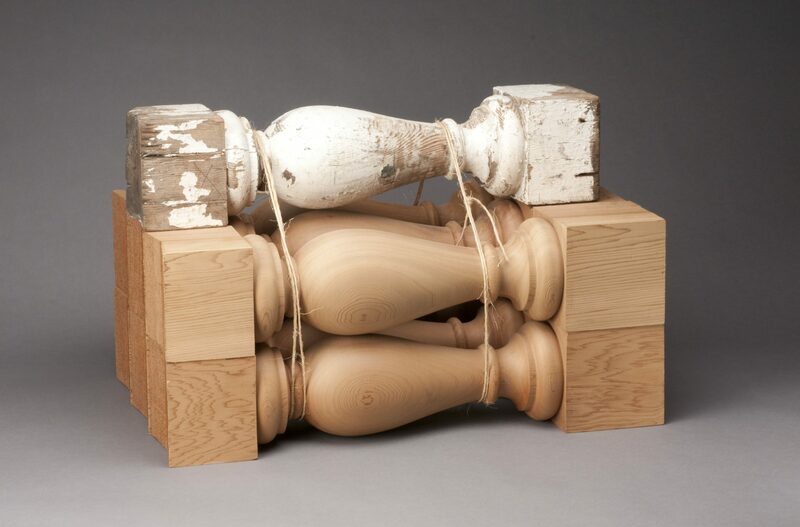 The body of sculpture in the collection challenges conventional assumptions about wood-turned objects. 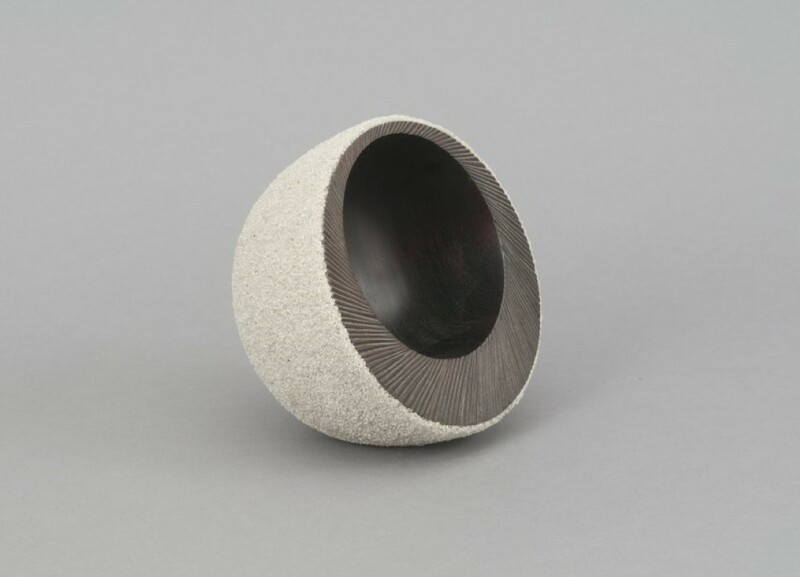 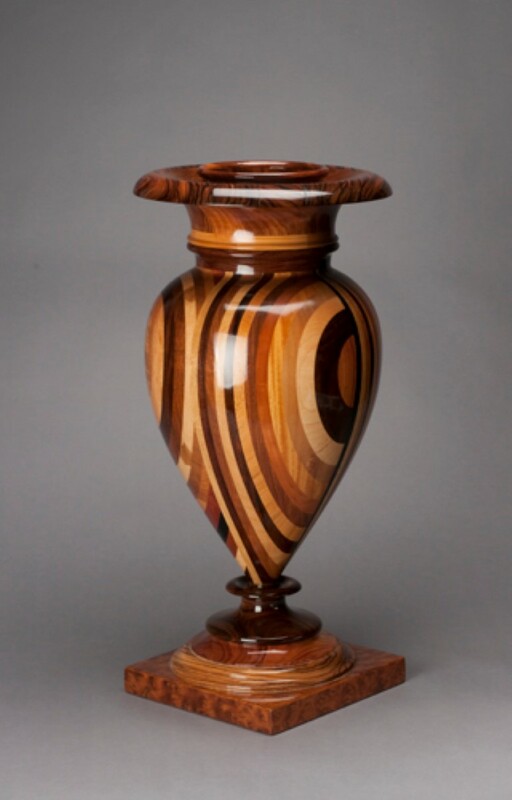 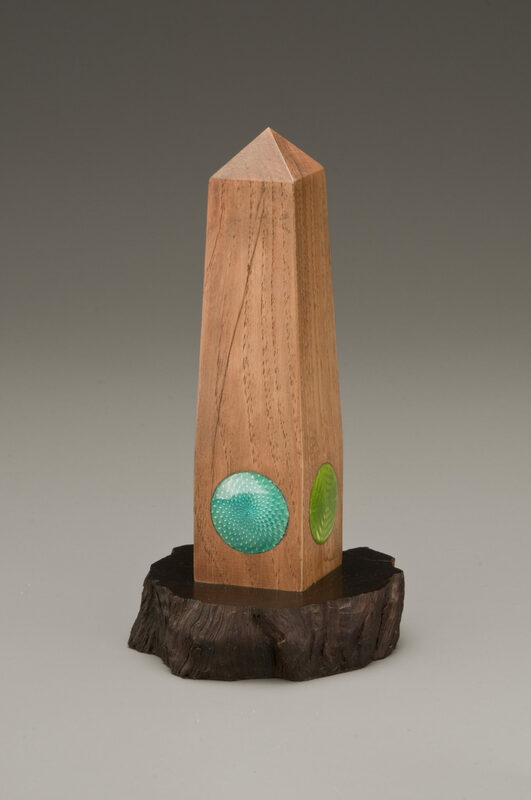 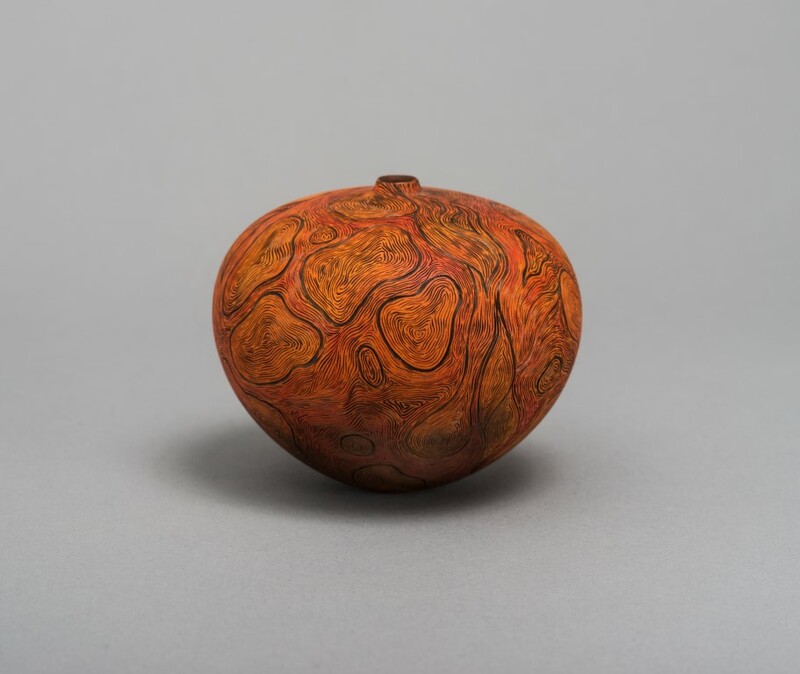 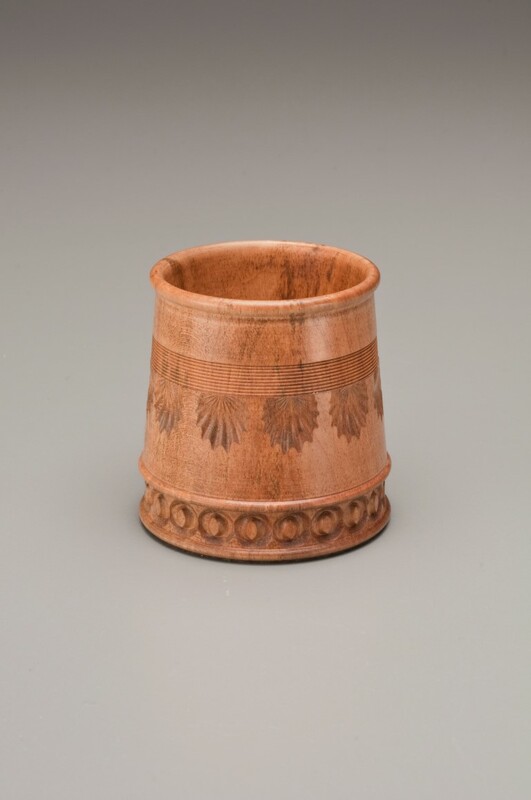 While many artists concentrate on using wood turning to create new vessel forms, others embellish their turned, carved, or built objects with paint, lacquer, or other processes and materials. 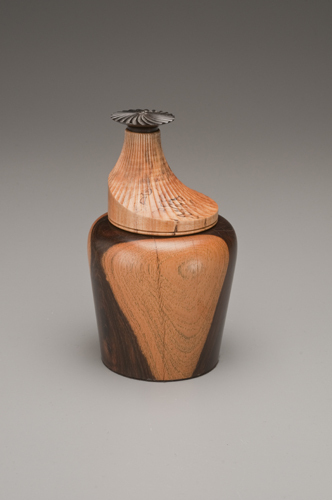 This broadening of approach is indicative of the creativity that wood continues to inspire in artists and makers. 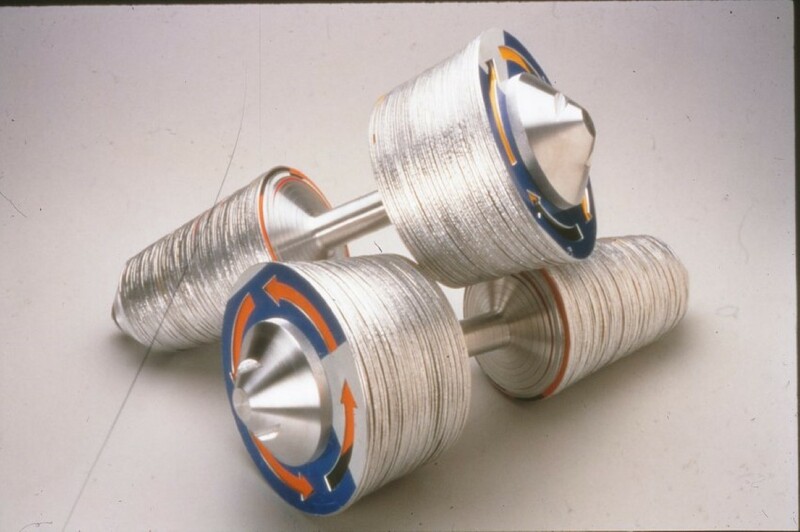 The history of skilled manufacture and craft industry in Pennsylvania extends across hundreds of years and continues to thrive in the present. 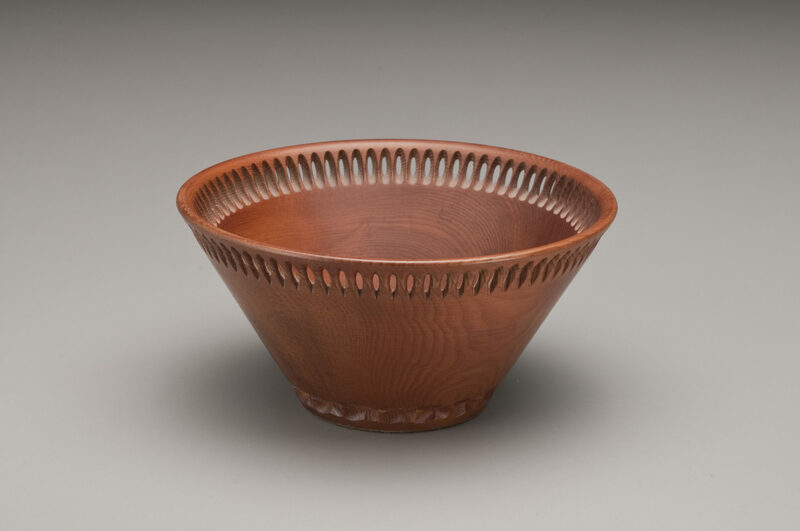 From the birchbark and wood-frame constructions of the Lenni Lenape tribes, to the small-batch studio furniture operations and maker-spaces of today, the region’s makers have used wood to build shelter and furniture and to produce tools and household goods. 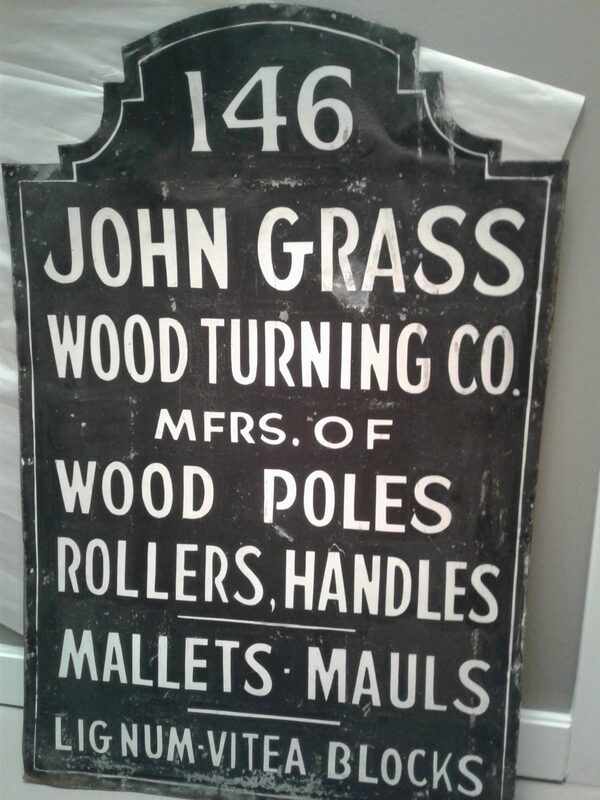 The John Grass Wood Turning Company was founded in 1868 in the neighborhood now known as Old City, one street from this exhibition gallery. 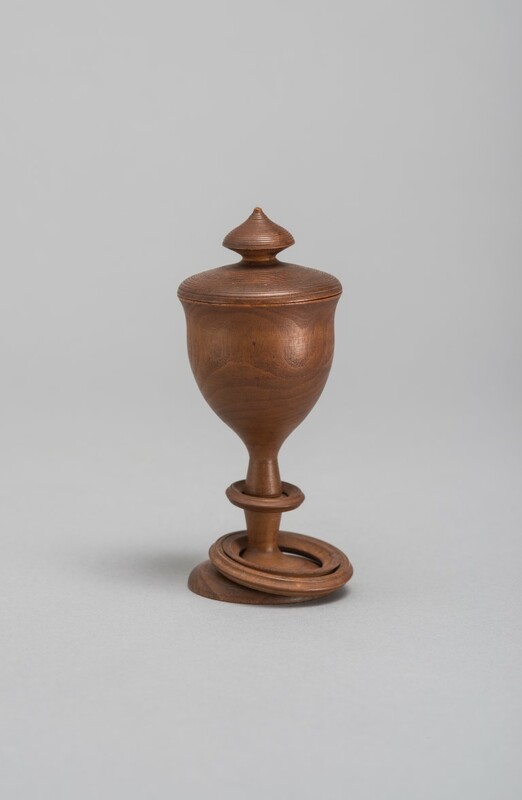 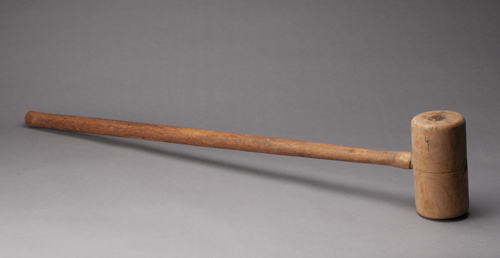 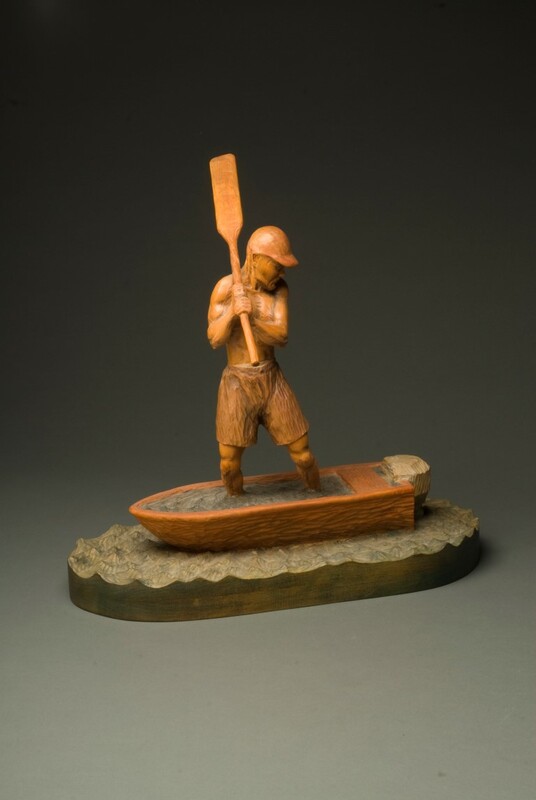 For more than 150 years, the company produced wood-turned objects such as mallets, balustrades, tool handles, and domestic goods that are a reminder of the importance and prevalence of wood in industry as well as in art. 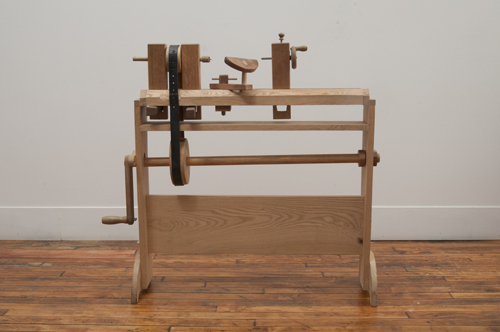 In the nineteenth and twentieth centuries, mass-production made available cheap furniture, tools, and housewares on the market. 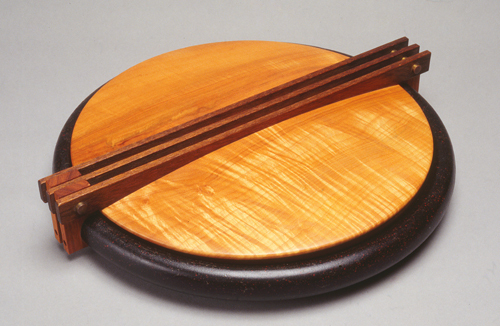 However, the demand for handcrafted objects has survived. 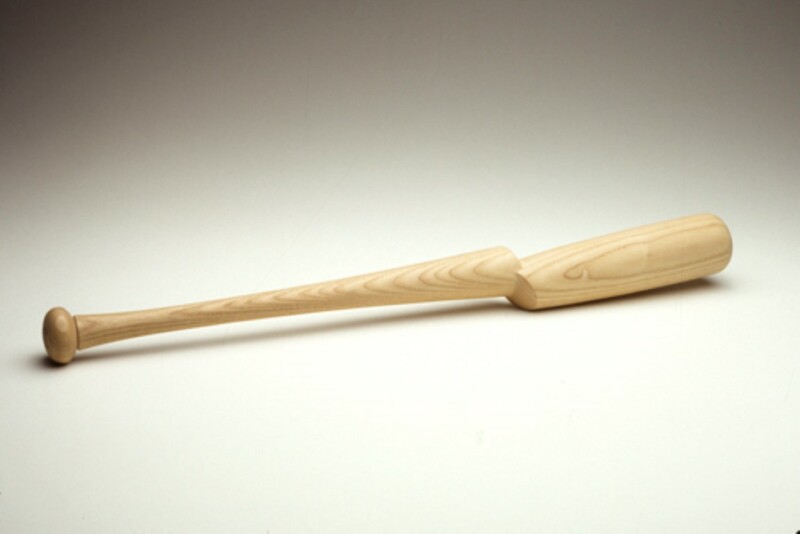 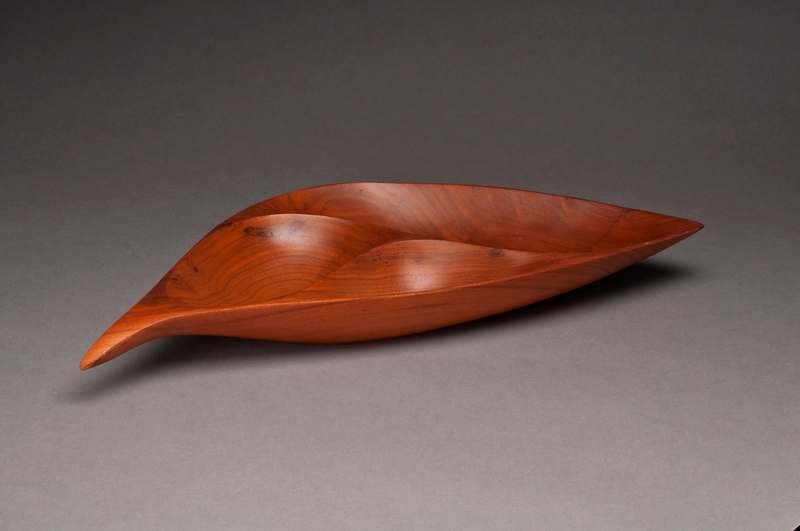 Many artists with skills in turning, carving, and construction support themselves by making household objects that, while beautifully made, are also functional. 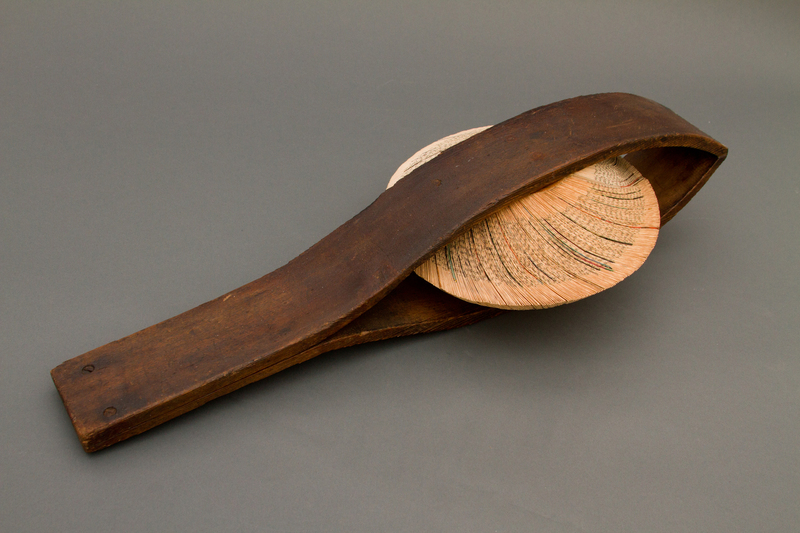 Others work in fields such as teaching or manufacture, but create functional objects at home for leisure, taking pleasure in making traditional housewares or inventing modern interpretations of heritage forms. 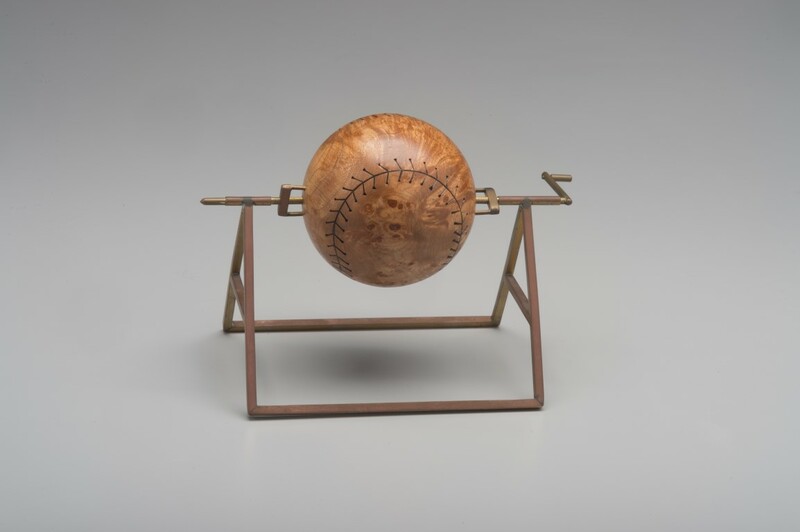 In the spirit of instilling industriousness in subsequent generations of makers, a toy lathe gives children the chance to play at wood turning, just like toy kitchens, doctor sets, and tools that introduce the world of work through games and pretend. 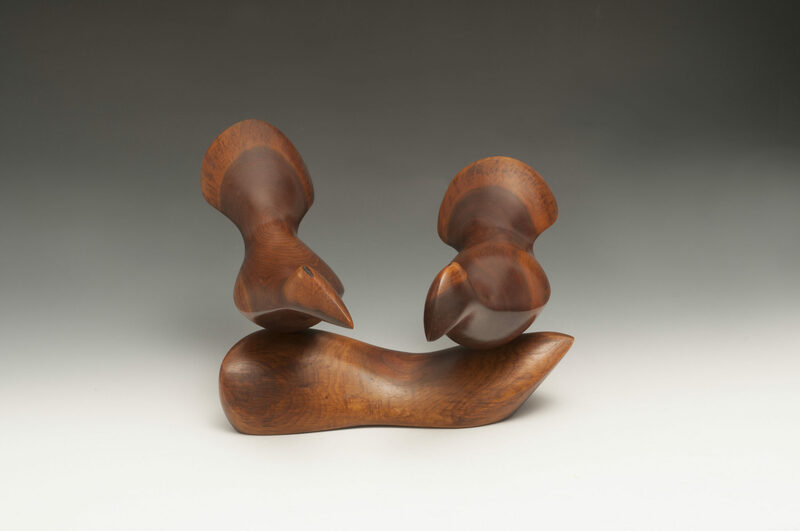 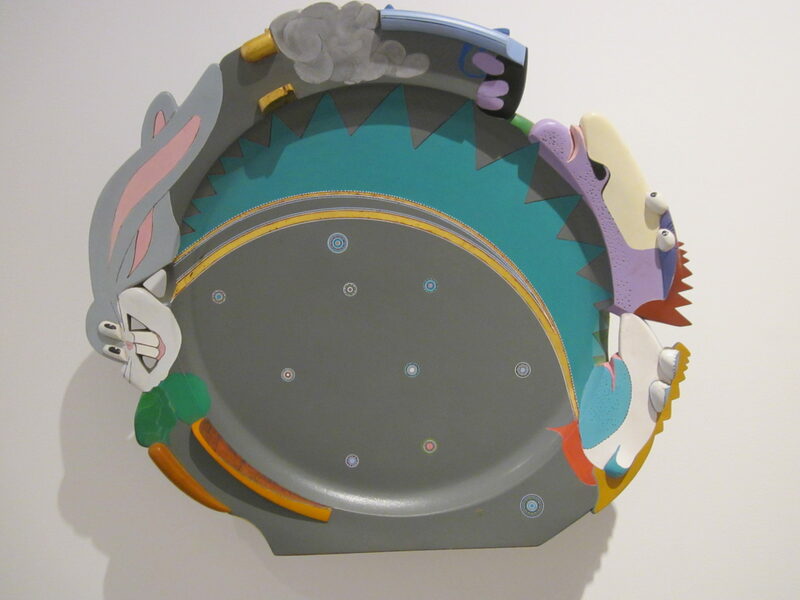 The exhibition program at the Center is generously supported by the Cambium Giving Society of The Center for Art in Wood, the Pennsylvania Council on the Arts, the Philadelphia Cultural Fund, and the Windgate Charitable Foundation. 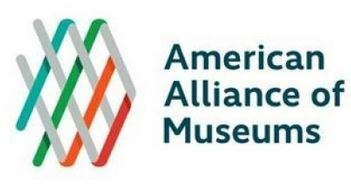 Corporate support is provided by Boomerang, Inc., Penn State Industries, Signarama Center City, and the Sun-lite Corporation.